Missing Silver Grey and Black tabby – Bjork. Hanham. Our girl has been gone almost 3 weeks now, and we’re basically out of hope. She was very nervy due to an abusive first 3 years of her life, rarely went anywhere more than 10 mins from the house. 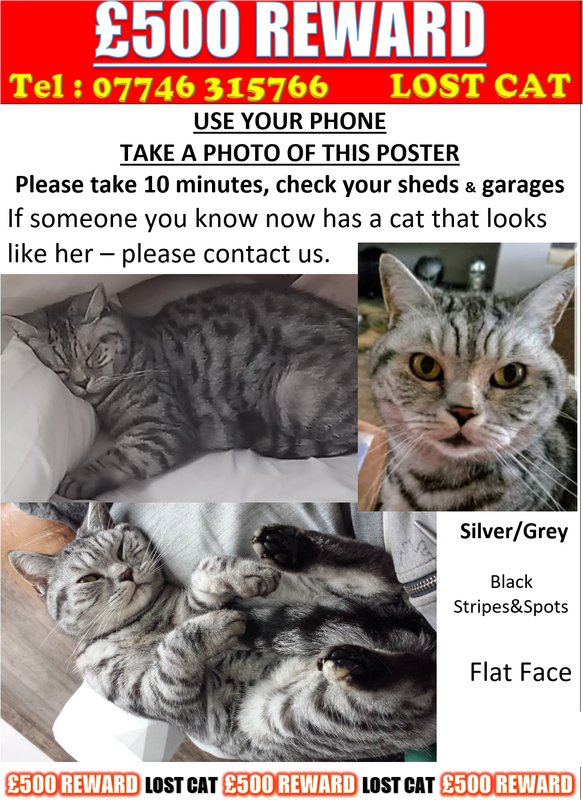 This is just a last ditch hope in case anyone should see one that looks like her, or have a neighbour that suddenly acquires a pretty new cat looking the same. My heart goes out to the rest of you out there suffering the same as us. That’s kind of you, but it’s over 3 months now. Safe to say she’s gone.